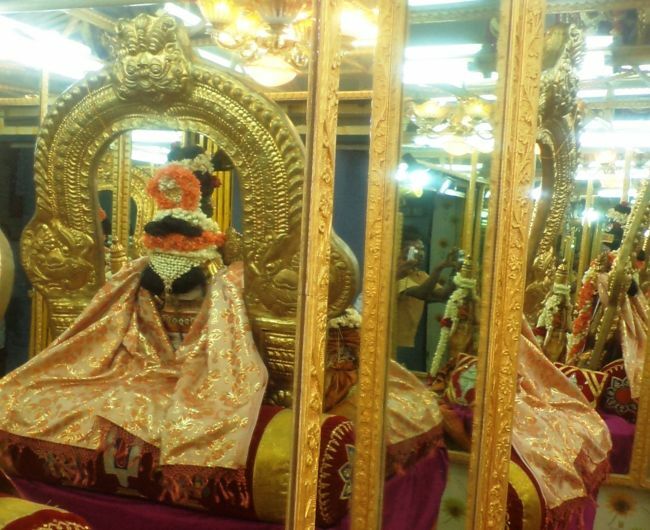 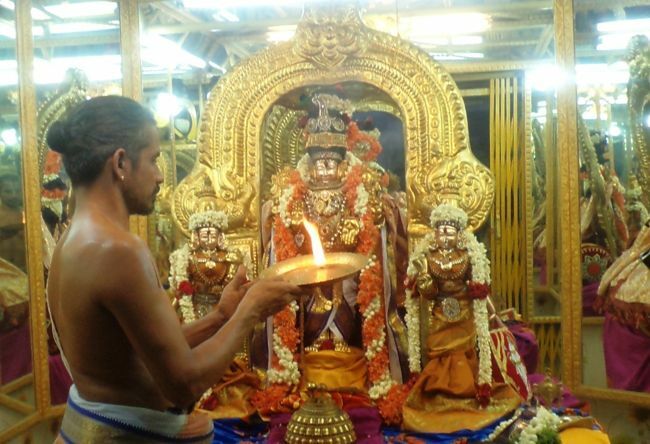 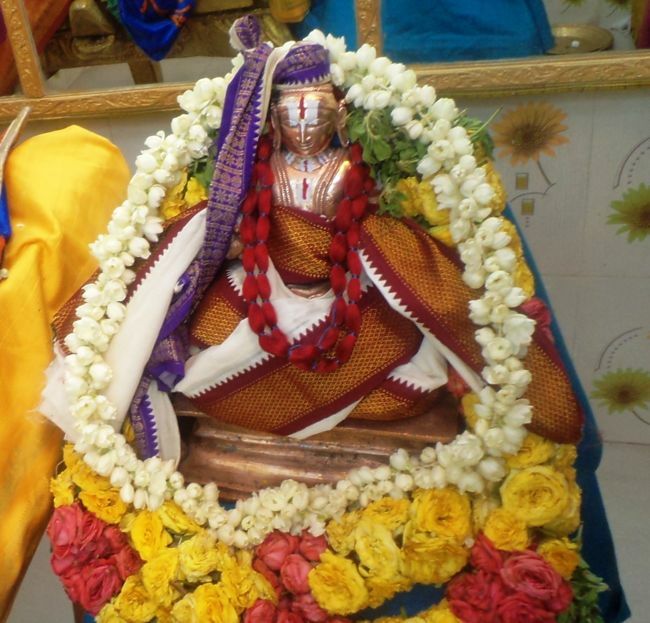 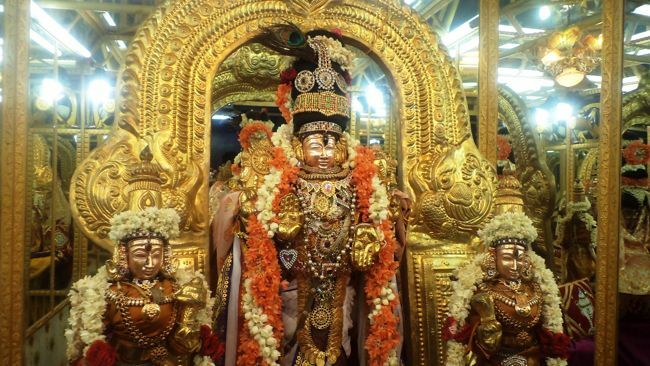 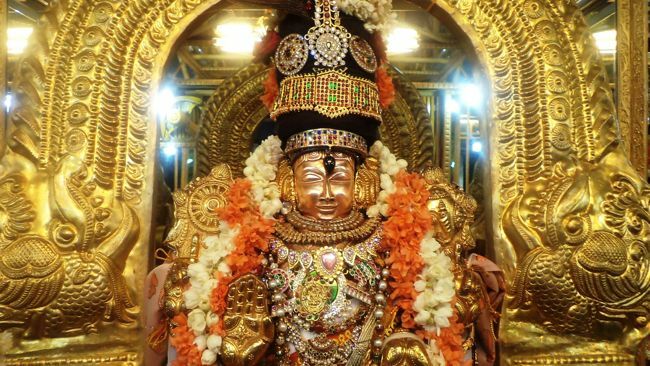 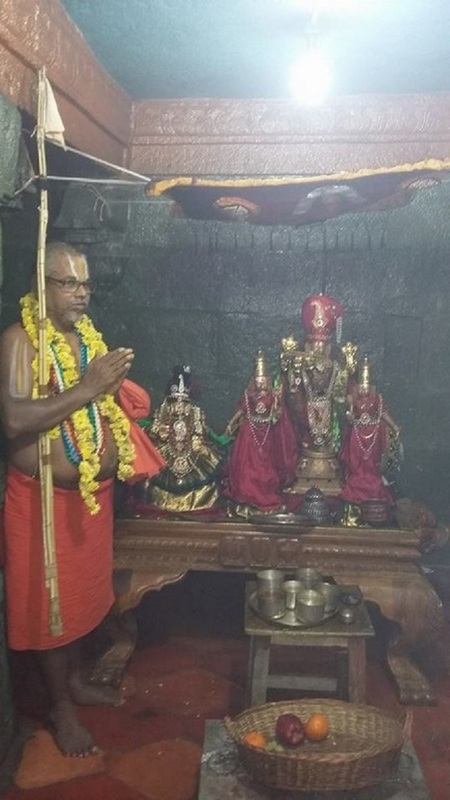 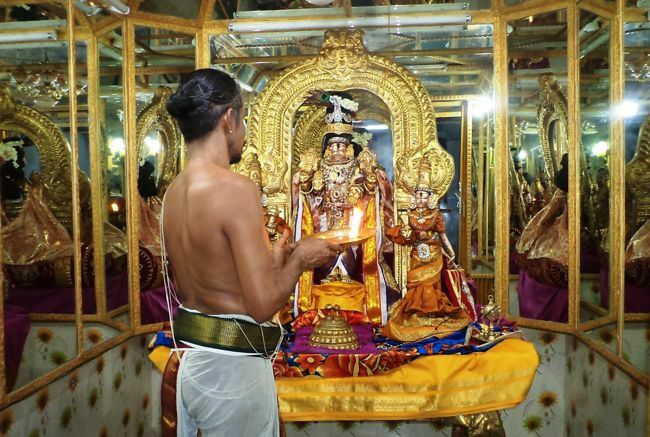 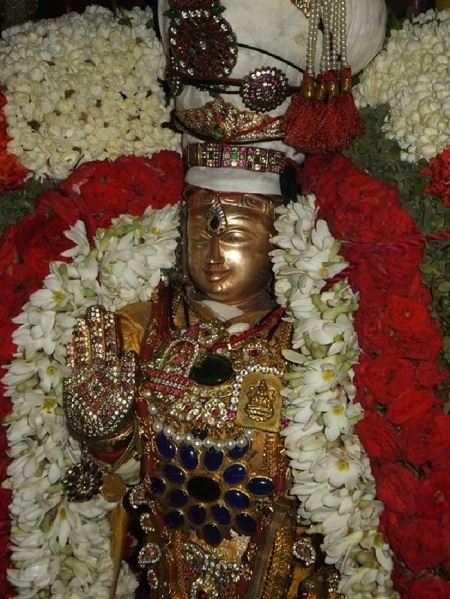 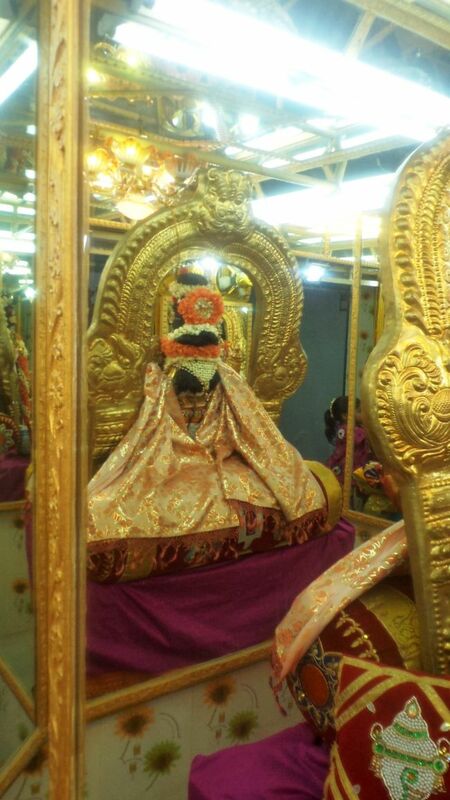 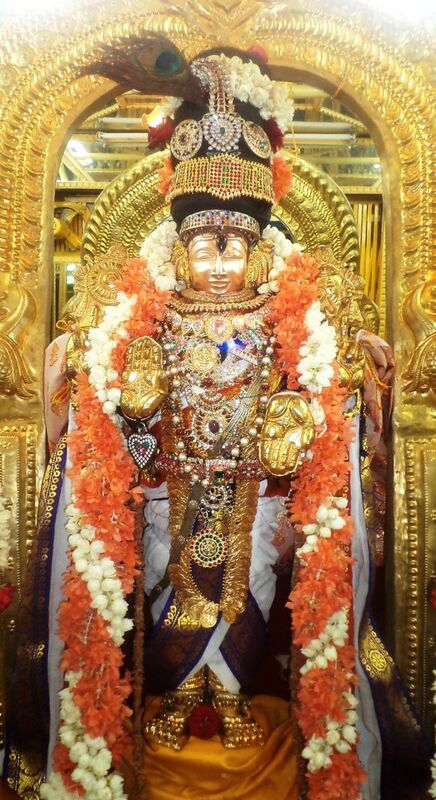 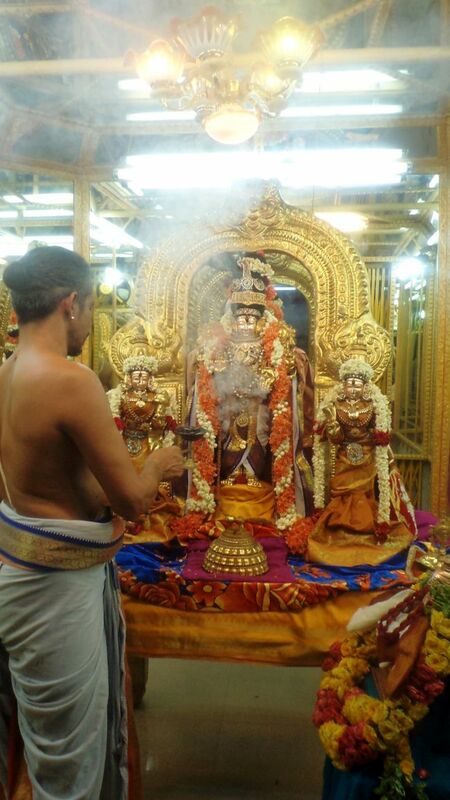 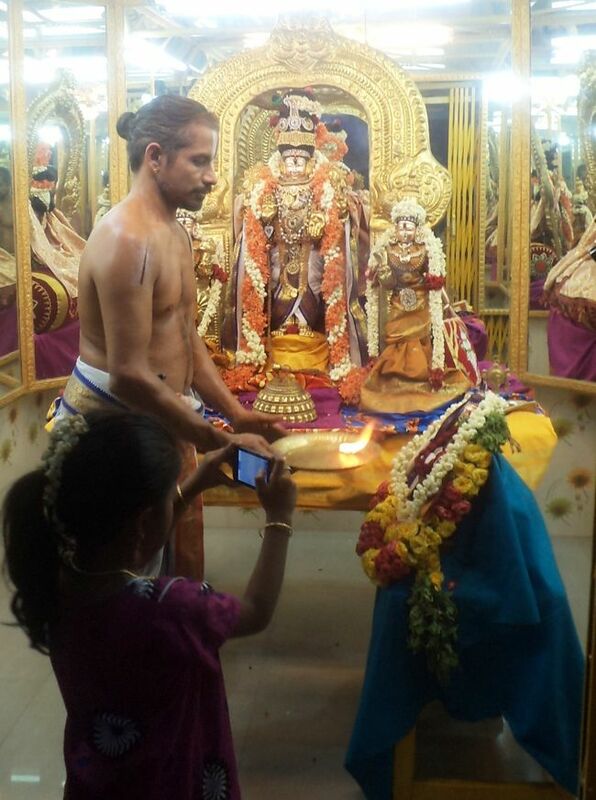 On June 1, 2015 Manmadha Varusha Vaikasi Visakam, Swami Nammazhwar Thirunakshatram Utsavam was celebrated grandly at Thiruvelukkai Sri Azhagia Singaperumal Kovil. 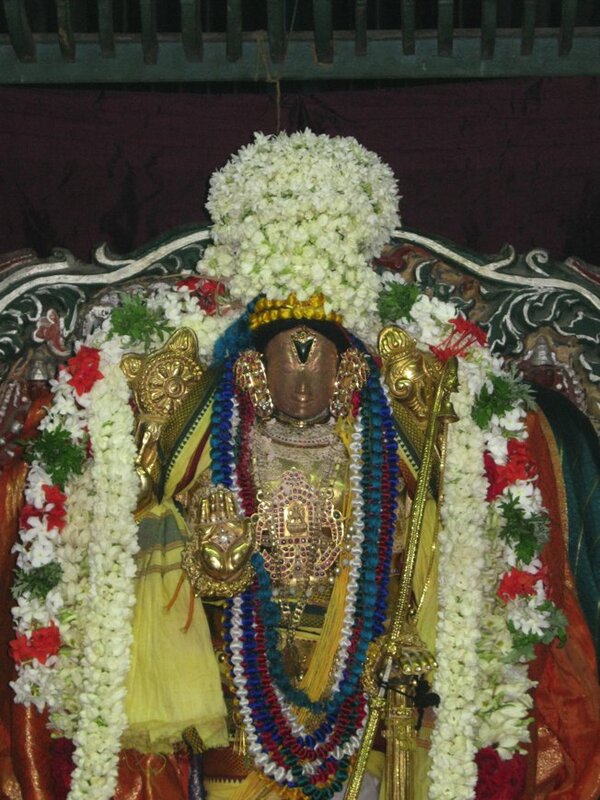 On this occasion, in the morning, Sri Azhagia Singaperumal along with ubhya nachiyars and Namazhwar had Thirumanjanam. 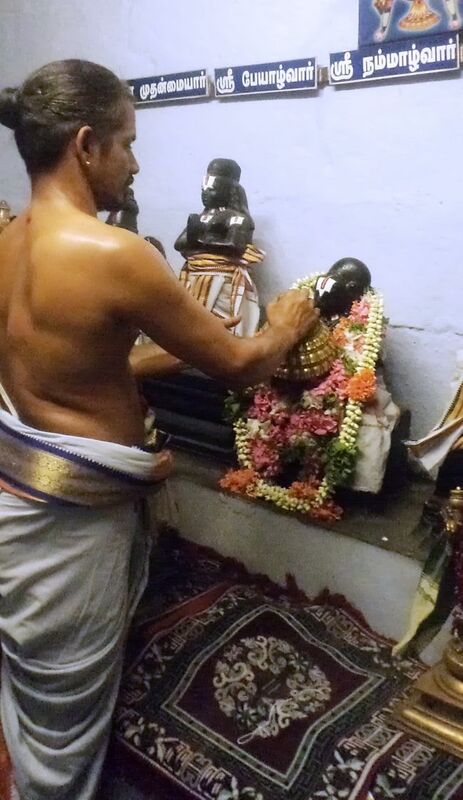 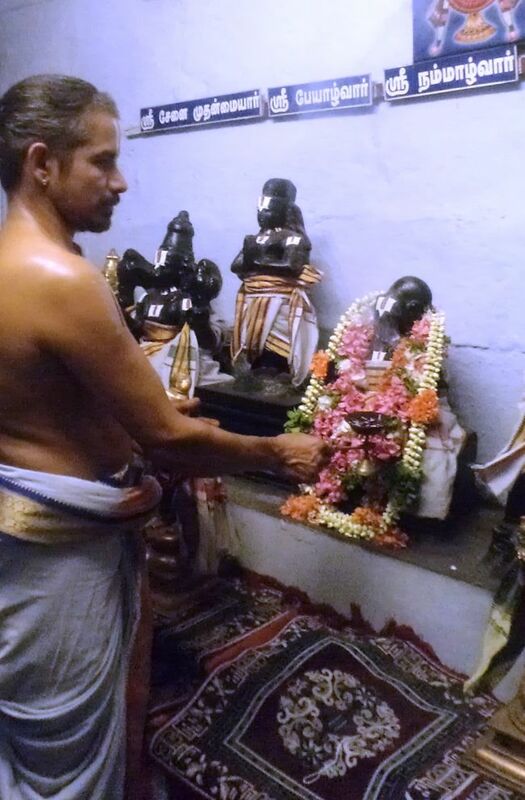 In the evening, Sevakalam and Satrumurai took place at the Temple Premises. 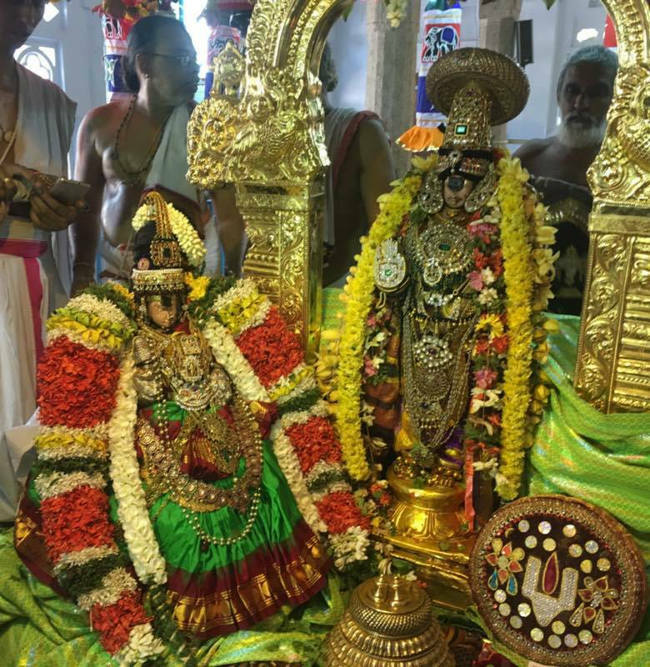 Several devotees participated in the Thirunakshatra Uthsavam and received the blessings of the Azhwar and Divya Dampathis. 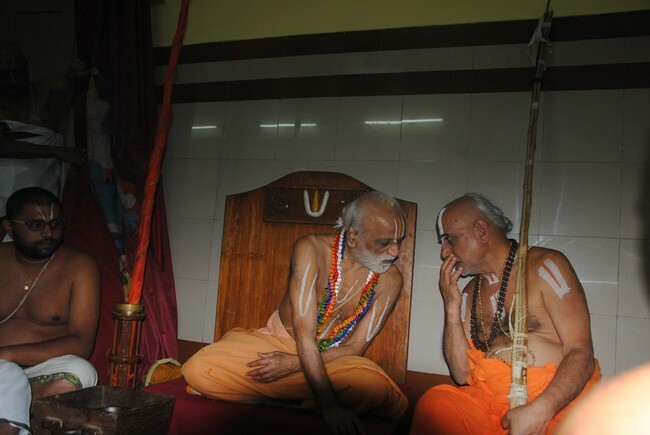 The following are some of the Photos taken during the occasion….